First of all, why do you even need to do it? 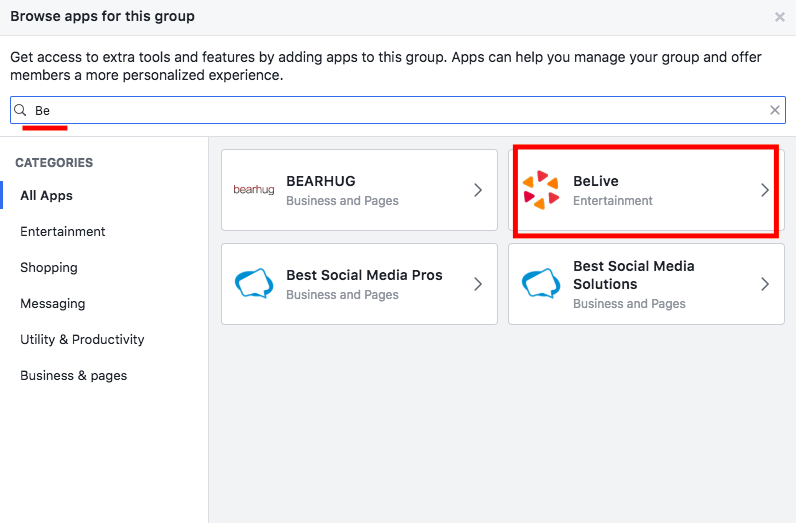 Facebook changed the rules, and now it's a must to install BeLive App on a group. Otherwise, you won't be able to use BeLive in this group. 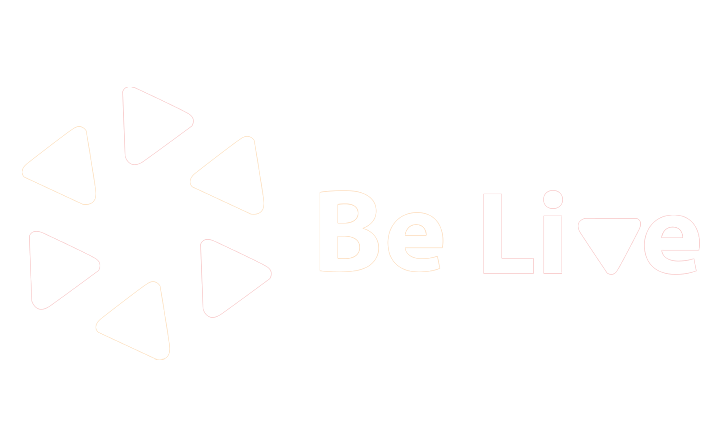 Also, members in a group (not just admins) can now go live using third-party apps like BeLive! This is how it works with Facebook Live now, and since we are an official third-party Group App, the rules apply to us as well. 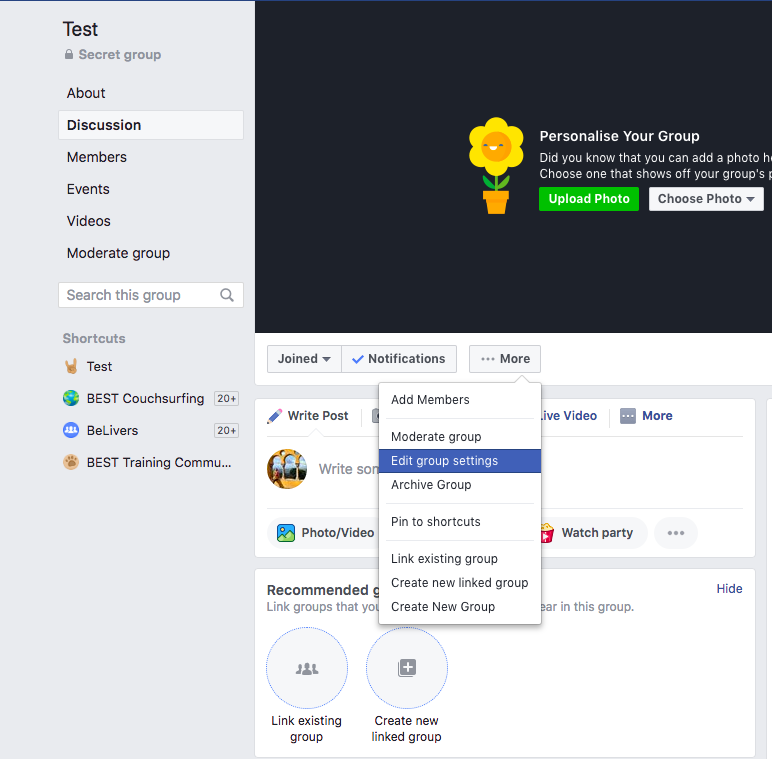 Make sure you have admin rights in this group with the same personal profile that is connected to BeLive. 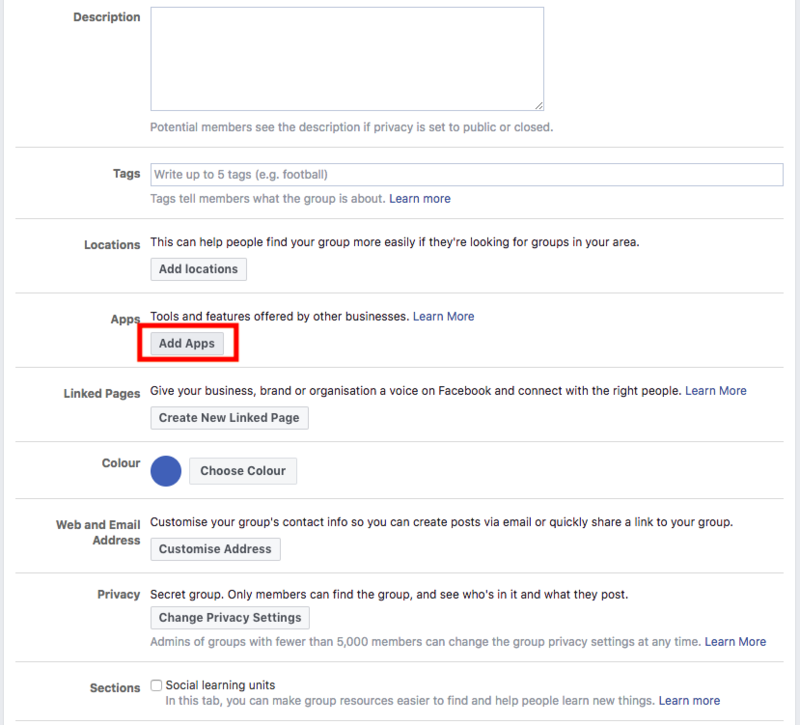 Go to your group and click on "More" under your Facebook cover photo. Select "Edit group Settings"
3. Scroll down to see Apps section and select "Add Apps". 4. Find BeLive and click to add it to the group.